Growing up in Coastal Virginia, I'd often end up at cigarette boat races with my dad. I remember the noise, the elongated boats and the smell of gasoline as it mixed with an offshore breeze. I also remember the bikinis, beers and big, roaring engines—which is probably what kept my dad coming back. For me, as a 10-year-old boy, it all seemed pretty festive and hanging out with dad was always a good time. There's a certain attraction to loud, dangerous, gas-guzzling and adrenaline-charged events. I mean, there's a reason NASCAR, which Forbes magazine once called "America's Fastest Growing Sport," still draws as many—if not more—fans as a Big Ten football game. Starting Saturday, Central Oregon will be inundated with at least three different categories of drag boats—hydroplane (hydro), jetboat and flat bottom—as racers and spectators flock to the High Desert Showdown, a two-day event staged at Culver's Haystack Reservoir. What? You didn't know drag boat racing was a "thing"? In Oregon it is, and has been since at least 1965—decades before mountain biking or sport climbing were even conceived of. This season, the Columbia Drag Boat Association, a nearly 50-year-old organization that morphed out of the Columbia Speed Boat Club, is putting on a regional eight-race series that runs from May to November. And while, like NASCAR, the expensive sport of drag boat racing (racers can easily spend $250,000 per year on a campaign, according to CDBA President Andy Haavisto) has taken a hit since the economy tanked in 2008, the racing scene in Oregon has held steady. Haavisto said the series' biggest event, the Bi-Mart Summer Clash on Dexter Reservoir near Eugene, still draws about 60 racers and hundreds of spectators. And the sport remains, Haavisto said, approachable and exciting. But also perilous. Haavisto hates to see a crash—boats disintegrate when they flip at 140 mph, the top speed of most Oregon racers (some hydros, though, can hit 260 mph)—and notes that the CDBA race series hasn't seen a fatality since 1986. But, he admits, the sport is "extremely dangerous." Boats can flip in anything but glassy water, especially at 130 mph, and with no seat belt or roll cage, crashes aren't pretty. "But," Haavisto said, "That's part of the rush." Like other action sports these days, drag boat racing is capitalizing on the high-stakes nature of the sport. Lucas Oil TV, a media arm behind the national series, posts regular YouTube uploads, called "Wreck Wednesday." A recent video of nationally-ranked drag boat driver Dan Rodgers' horrific crash in May at a Lake Irvine, Calif. race details what can happen when conditions are anything but perfect. The video shows Rodgers' boat ripping apart at top speed after hitting a small ripple. "Man, my foot is eFFed—it's jacked up," Rodgers says in the video, remembering the crash. Point-of-view footage shows his flip and plunge into the water. Other shots after the crash show him on a backboard and in an ambulance. According to hotboat.com, he suffered a broken vertebrae and detached heel. The video ends with Rodgers pledging to race again as soon as possible. But the sport isn't exactly like bull fighting or BASE jumping. Local racer Shayne Burton, the 37-year-old owner of Custom Exhaust Specialties, has been ripping around on hot boats since he was 16 and racing for at least 10 years and he's never been hurt. Racing, which Burton will do on Saturday, is something like trial by fire. 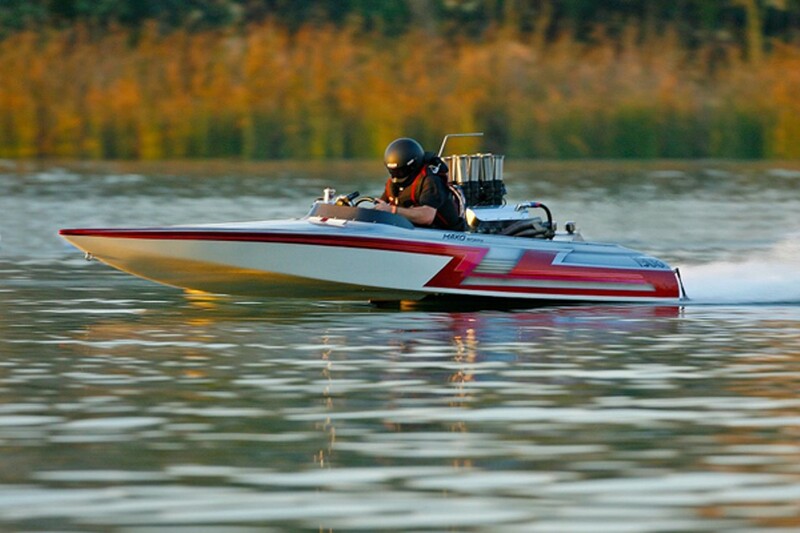 Since drag boat racers can't exactly practice flying around Central Oregon's lakes at 100-plus (drag boats aren't lake legal), the qualifying events are often a driver's only time behind the wheel. 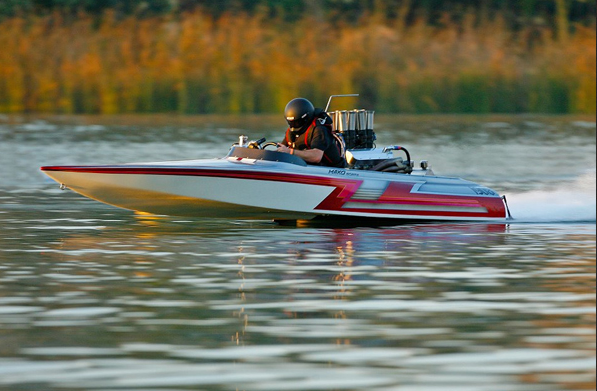 Burton, like most drivers, works on his own boat—a 555-cubic inch, alcohol-injected flat bottom boat that can hit 122 miles per hour—and does everything from engine building to fabrication. He'll be racing on Saturday and he's bringing his kids. "My goals are just to have fun and enjoy myself," Burton said. Spectators can bring own food, coolers and chairs. Food vendor onsite. And in Other News...Local 'Cross is Back! Doubters check yourselves! After concern that the series may wither, it was recently announced that both the popular weekly Thrilla Cyclocross Series and a weekend's worth of Powered by Bowen races would, in fact, happen this season. The big news is both races will be at new venues. Notes: Don't bring alcohol (beer garden available). No pre-riding the course (it's private property). More information at webcyclery.com. Notes: Proceeds benefit Bend's junior 'cross racers; More info at poweredbybowen.com.